Video Quality Control is better than “photos” at managing risk for Broadband Providers and their Contracting partners. A new service allows cable operators to view work performed in the field, in a video format. Field technicians who are tasked with the construction or installation of broadband services can now “video” the work they completed at the subscribers property. This video record is ten appended or attached to the record of the work order for viewing online. The technology designed by Data-Trax Solutions, Inc. provides a cable operator with a video database of all work performed at the subscribe’s property. Field technicians use their mobile phones to create a video journal of their work. A simple format and custom programming allows the Field Technician to upload the video and attach it to the work order record in “real time” as the work is completed. This video may be accessed via the “Data-Trax Drop Management System” and viewed by anyone who has been approved for access. Access is possible from any hand held mobile device or computer browser…from anywhere there is an Internet connection. Data-Trax Solutions was formed in 2005 to offer web based tracking and reporting solutions to broadband providers. The original product provided access to an “online” database system that provided complete transparency regarding work performed in the field. A dashboard provides operators an “at-a-glance” roll up of production figures and timelines. 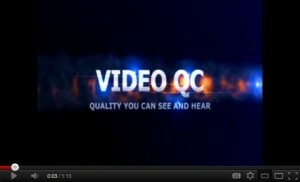 This new Video QC offering is just part of the ongoing evolution of the service offering.